The 'Collegio Innocenziano' is the name of the wing of Palazzo Pamphili that houses Hotel Eitch Borromini. Our suites are a rare opportunity to sleep in a historic mansion dating from the seventeenth century, in one of the most beautiful squares of Rome and the world. Each room has a view out of the ordinary, overlooking the cloister or alleyways around. 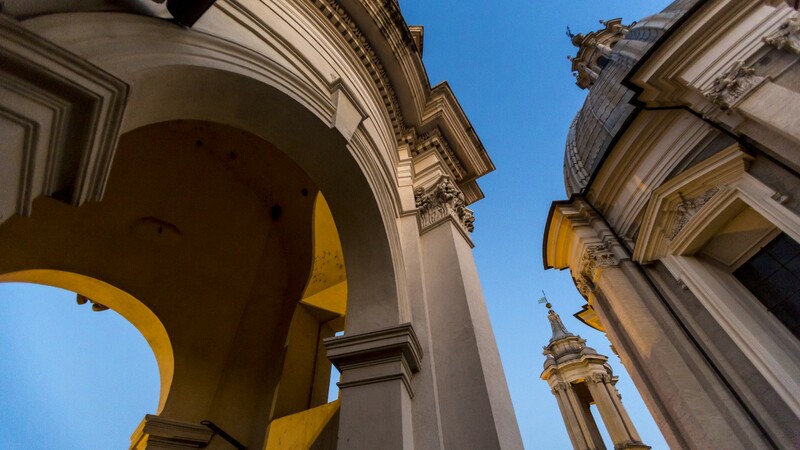 The restaurant enjoy the most prestigious view directly on Piazza Navona, facing the famous 'Fountain of the Four Rivers' of Gian Lorenzo Bernini. You can take a taxi from the airport to Termini Station with a fixed price of 45 euro. From the airport take Roma-Fiumicino until A1-Firenze and SS1-Via Aurelia. Follow the signs onto the Grande Raccordo Anulare. Take the exit for Roma Centro Aurelio/Vaticano. Take Via Gregorio VII through the Principe Amedeo Savoia Aosta tunnel. Continue straight crossing the bridge, turn left onto Lungotevere dei Fiorentini. From Piazza Ponte Umberto you will enter in the restricted area. Turn right onto Via Zanardelli and follow along to the Corso Rinascimento, then turn right onto Via dei Canestrari and proceed to Piazza Pasquino. 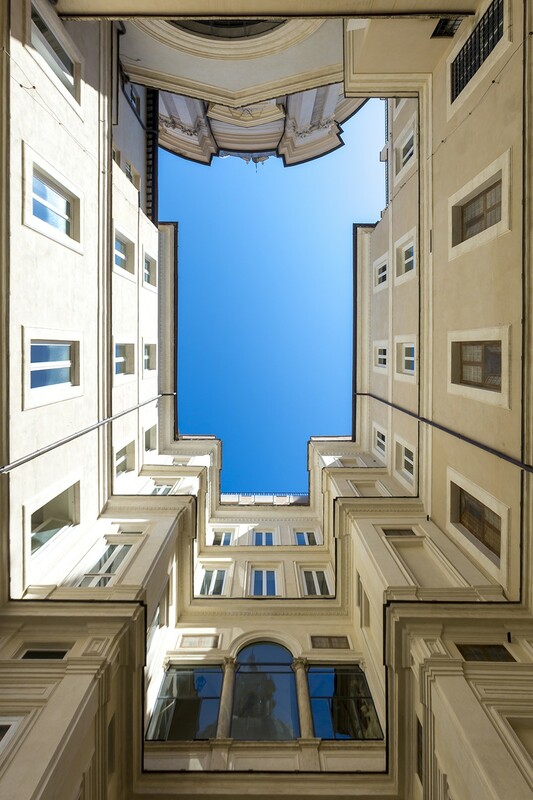 Turn right again onto Via S. Maria dell Anima where you will find Eitch Borromini at numer 30. You can take a bus or a taxi from the airport to Termini Station with a fixed price of 40 euro. Take the bus 64 for 10 stops (it stops every 5 minutes). Get off at Corso Vittorio Emanuele/Navona . Walk for 400 metres to the Hotel in Via Santa Maria dell'Anima, 30.